Available with a venue fee and a minimum consumption. Hacienda San Ángel crea comidas nacionales e internacionales memorables de primer nivel en Hacienda San Angel Gourmet, el restaurante de gran prestigio y servicio completo, se encuentra en la terraza principal del hotel. 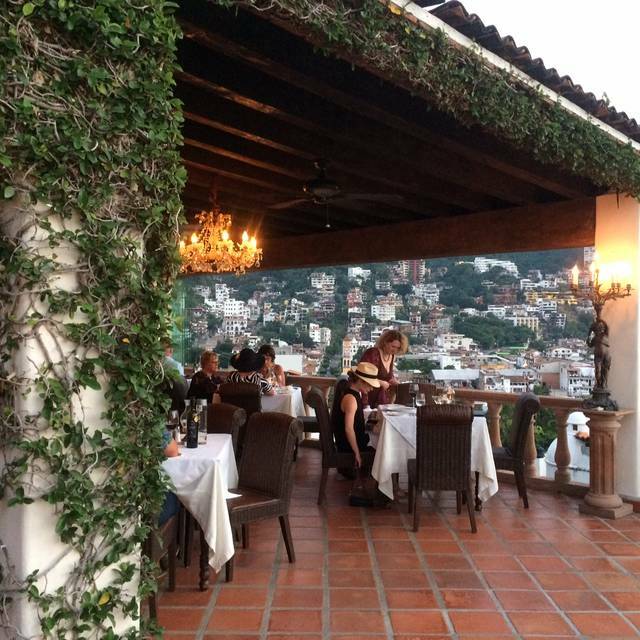 The restaurant is situated in a beautiful hacienda perched on a hilltop. The tables give a great view of the city, the ocean and the sunset. Good food and service. A few of the dishes were excellent. Overall, had a wonderful evening! We arrived at dark because I knew there would be candles lit all in the courtyard. It was gorgeous. We were offered two table options...one being where the Mariachi band would be. I knew they would be very loud (and they were) so I selected a table further away. Still had a nice view....but more private. I selected Chilean Sea Bass as my entree. It was the best I have ever had...anywhere. Fabulous!!!! My boyfriend had mussels for appetizer that he loved. He also had short rib, which had a great flavor, but was not as tender as it should've been. It didn't fall off the bone and needed more time to slow cook. For a splurge, I ordered Baked Alaska for dessert...expecting there to be some "flambe" tableside as the description mentioned flambe on the menu. There was none.....and when I asked the waiter (who was rather abrupt all night, sorry to say) we were told they were not allowed to do for safety because it was outside. We had just had flaming preps done at Cafe des Artistes, so I found that a bit odd. Also, it had not been freshly made either. Oh well. We will still go again...and I will order the Sea Bass again (it was that good!) It is a beautiful place. The space was spectacular and the view was excellent. We loved the entire experience. This is our second time visiting Hacienda and it was just as good as before. We will definitely be back. If you can hold out for a late night dinner make a reservation for 8:30pm and enjoy the nightly fireworks around 9pm! Excellent. Always a fine meal in wonderful surroundings. My daughter held her wedding there and all was as promised or better. Try the Italian themed room on the chapel. Exquisite! Everything about the evening was incredible. The setting is spectacular and service so professional. The food was absolutely amazing and then the mariachi group was Hollywood ready. Really incredible evening. Very scenic ! Great waiters and mariachi band was exceptional! 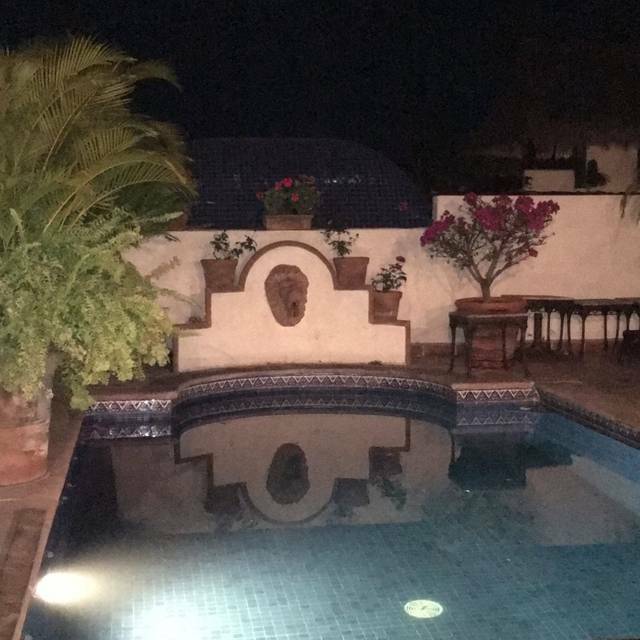 I recommend Hacienda San Angel to anyone who will listen to me. The entire experience is magical every time we go. It's such a beautiful setting and the staff is always professional, welcoming, and personable. If you have the option to go on an evening when the Mariachi band is performing, I strongly urge you to take advantage of this incredible performance while looking out over the bay. Truly wonderful! The food is consistently exceptional with local flavors and cooked perfectly. 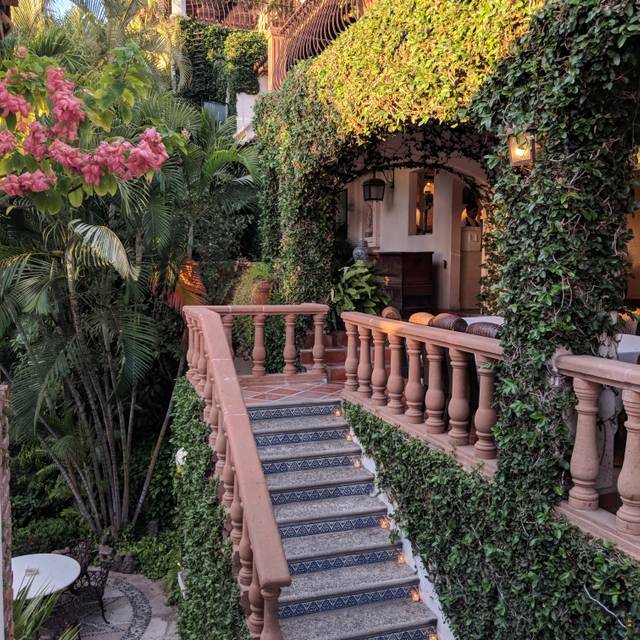 Hacienda San Angel is an experience that should be enjoyed at least once; the decor, the view, beautifully set tables and overall ambiance make for a special evening out. 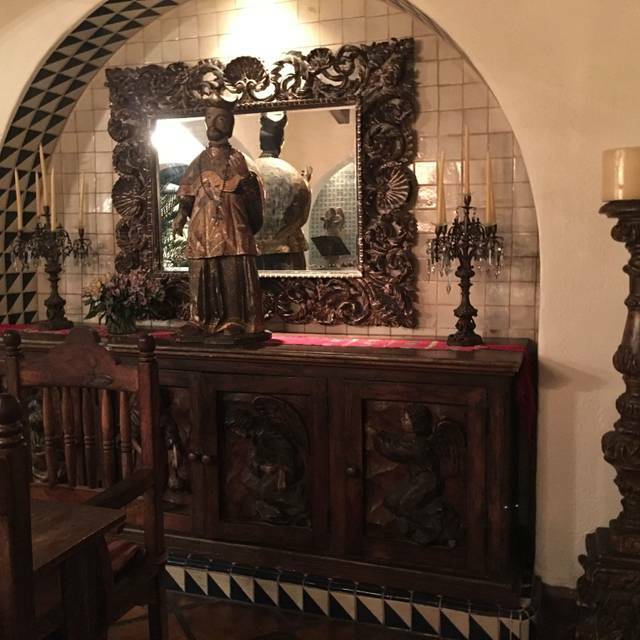 The service was very good and we were accomadated when we requested a different table. Our pre dinner martinis were on point and the wine list is very good. But while I understand charging for bottled water, it is very overpriced. Our food had lovely presentation and was very good but for the price should perhaps be excellent. We had a wonderful evening and I would not hesitate to recommend but given the incredible food scene in PVR I will probably not return. My husband and 2 children (13 & 9) visited Hacienda San Angel upon recommendation. I was instantly blown away. 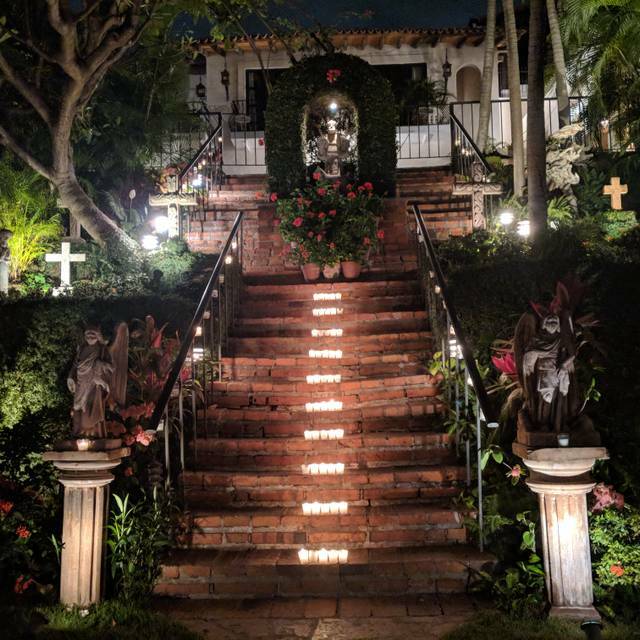 You walk into this gorgeous courtyard with votive candles everywhere. The view is amazing. The best part was the Mariachi band. Such a unique authentic Mexican experience!! As always a favorite in Puerto Vallarta! Food, service and ambiance second to none! 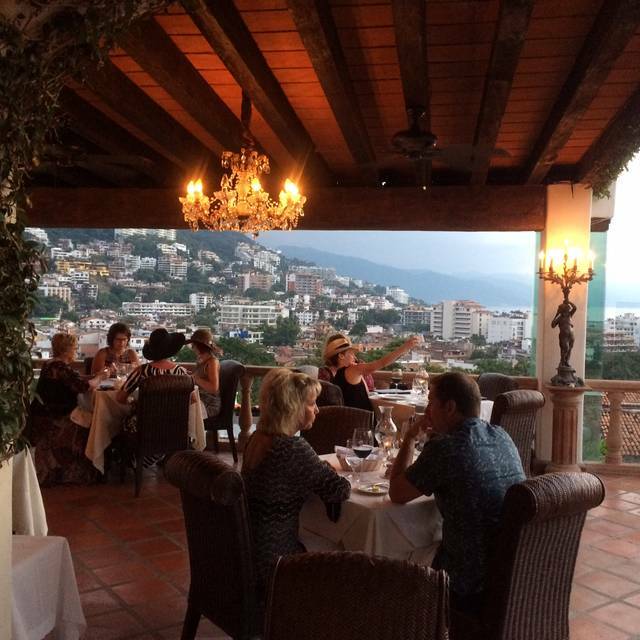 Stunning location and amazing food, service and entertainment. The stuffed poblano is exceptional! 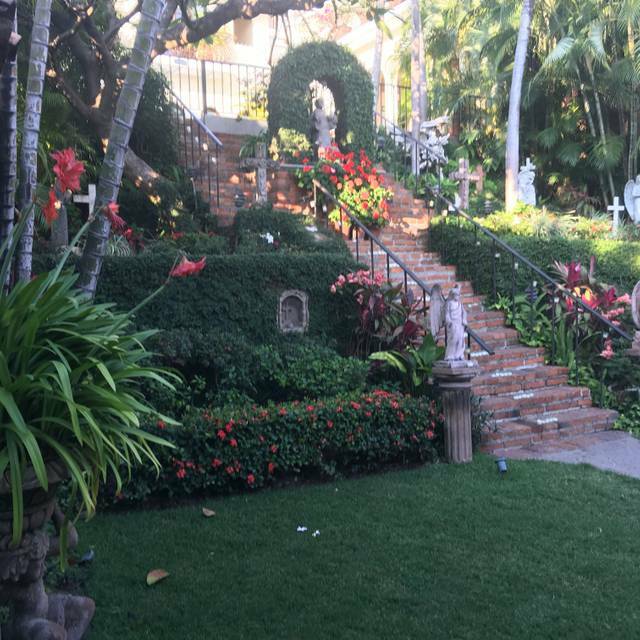 The Hacienda is breathtaking - the rooftop dining room is spectacular - the food and service are amazing. There was an 11 person mariachi band that did two performances - the best I've ever heard. This place is remarkable - if you're in PV, you have to go. Charming spot up in the hills. Food was awesome! Try the surf and turf you will not be disappointed. AMAZING FOOD AMAZING SERVICE AMAZING VIEWS!!! A beautiful house with wonderful views. Staff and musicians were outstanding. It was an unbelievable night with fantastic cuisine, great music and a beautiful atmosphere to celebrate my wife’s birthday. 5 stars! Amazingly beautiful. The courtyard, the candles on the stairs, the view and the food was delicious. Best view in Puerto Vallarta. Excellent food and always live music. Maybe a bit pricey.... but beautiful setting and views, well paced friendly service, delicious food (mussels, salmon), amazing mariachi band (not at all what I expected). Great for special occasion. Fantastic atmosphere, view, and food. Excellent Mariachi band from 7:30-8. Well worth it. Will definitely return. Wow! This place is a great experience. 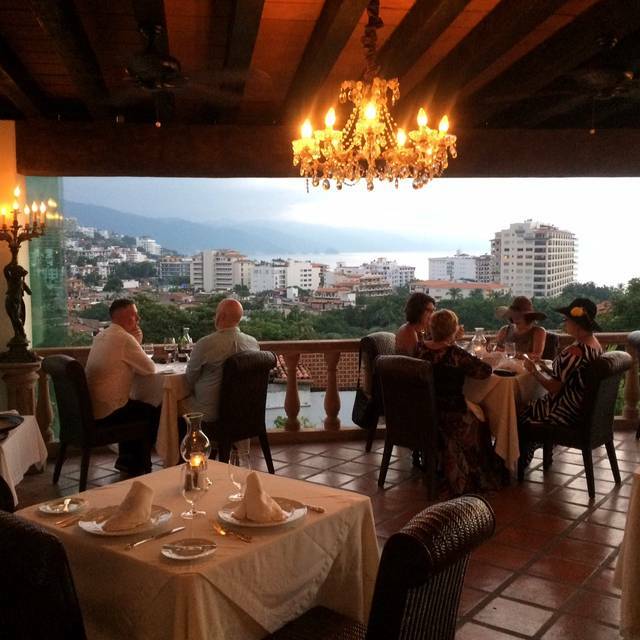 The view, the live music, great service and wonderful food all make this a must place to go in PV. The hotel and inside grounds make this worth the price of the experience alone! Excellent upscale Mexican restaurant with a complete band of Mariachis. Excellent food and service. Delicious food, amazing music! Definitely a highlight of our vacation. For a special occasion, last minute, we booked a table for 8pm. The entertainment is very professional, the service is remarkable and the ambiance is magical. I recently had dental surgery so was cautiously ordering soft items - incredible coconut camarones soup. The angel hair pasta dish was exquisite. Pavlova for dessert was dreamy. Would love to return because it’s such an exclusive spot and beautiful setting. One of the most outstanding restaurants I have ever been too. A truly awesome dining experience that created a memory that I’ll never forget!!! Had a very enjoyable dinner experience. Sea bass was excellent. Try to come here every time we’re in Puerto Vallarta. 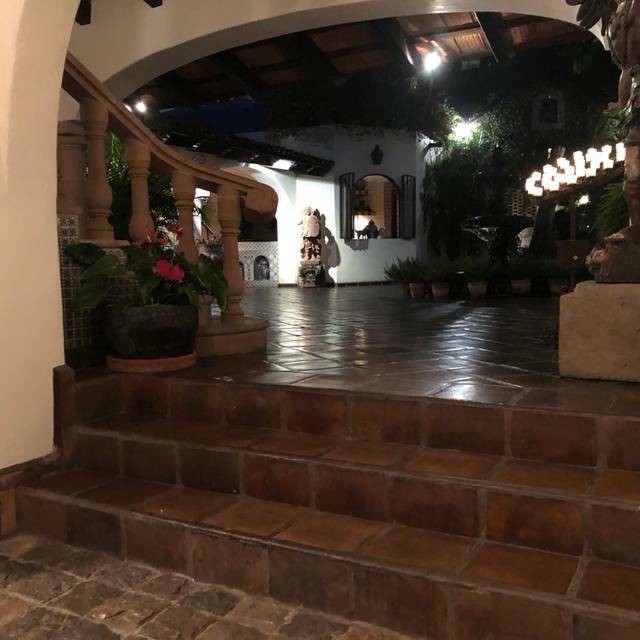 Hacienda SAN Angel was nothing short of amazing, one of the finest meals my wife and I have enjoyed anywhere. The appetizers (mussels and scallops) blew us away. My wife had fresh arugula with the scallops and the dressing was so tasty. The seafood was cooked to perfection. I had the fillet mignon (medium) and my wife had the stuffed chili poblano. It was stuffed with so many beautiful shrimp, she lost count. Everything was cooked beautifully and with so much flavour. To finish we shared deserts, the pavlova (to die for) and the pancetta (yummy). The icing on the cake was a fantastic 45 minute set by a local mariachi group. This is a must if you don’t mind paying more for over-the-top food in a beautiful setting served by great people who provide stellar service. It’s a beautiful experience and shouldn’t be missed while in Puerto Vallarta! This place is absolutely stunning. Everything is 5 star from the service, to the music, food, ambiance, VIEWS!! Everything is amazing. A MUST for dinner while in PV. Birthday.....great food and amazing views. First visit for my family.....second for my husband and I....everyone very impressed. What a gorgeous, romantic place...beautiful old hotel with many spots for photography. The view of town is special. Dinner was very good...shrimp and coconut soup, asparagus soup, capellini with shrimp and scallops. Mariachis were very talented...made for a lovely evening.